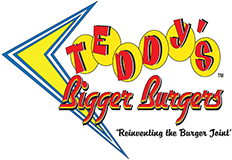 Teddy's Bigger Burgers – New Locations Coming Soon! BOTHELLMay is here! 2014 is blazing past us at warp speed, and in light of progress, we’re thrilled to announce a few new mainland additions to the ever-expanding Teddy’s Bigger Burgers family. Washington State will welcome its third Teddy’s Bigger Burgers location, Bothell! We’re excited to see how we can serve this amazing community! On top of that, we’ve just confirmed our first location in… guess where… Texas! Where things are bigger and better, just like our Teddy’s journey as the years go by. We will open a Teddy’s joint in the Dallas Fort Worth area, with more details to come about the opening date. We hope that our 100% ground chuck burgers with unique toppings will please the folks in Texas. Don’t forget, our newest exciting location just opened in the Kapolei Village Shopping Center. And that means we’re hiring! Actually, all of our locations are accepting new hires, so feel free to stop by your neighborhood Teddy’s and become a part of our burger-loving family. For franchise opportunities, offers are prepetuous, so please visit our website for more information at http://www.teddysbiggerburgers.com/. Follow our burgers and shakes online! Like us on Facebook, follow us on Twitter at @TeddysBiggerBugers. We’re also on Instagram, follow us at @TeddysBugers. Don’t forget to hashtag your posts using #teddysbiggerburgers. Love us? Visit us on Yelp!